Castlegate Security offer a complete range of security services delivered by a team of professional, fully licensed, vetted and insured people. Services available include Static Security Officers, Mobile Security Patrols, Vehicle tracking, Key Holding, Alarm Response and remote CCTV monitoring. For more information about our services contact our team today. Castlegate Security Services Ltd aims to provide our clients with all the support services they require from one innovative and effective supplier. Alongside promoting training and developmen,t we emphasise the value of active customer service. We believe it is a vital tool to gain competitive advantage and exceed client expectations. We understand the significant role of our security team in providing a customer service that is unsurpassed throughout the North West. In addition, we recognise that providing an unrivalled security service can only be achieved through investment in our team. Therefore Castlegate Security believes strongly in the proper recruitment, training and professional development of our managers and front-line security officers. Implementation of this policy allows us to sustain staff motivation and the peace of mind of our clients. For more details about the services we provide, please do not hesitate to give us a call today on 08453 102010. 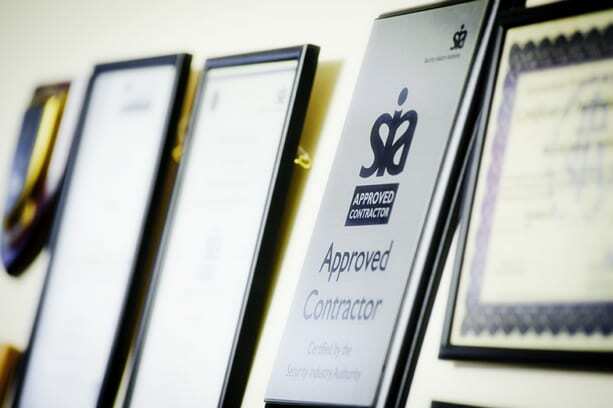 We aim to provide clients with all the support services they require from a reliable supplier. Founded in 1989, we provide security services to the local areas of Lancaster and Morecambe. Castlegate Security puts emphasis on the delivery of quality alongside our innovative security ideas. We require SIA licensed security officers for various shifts around the Lancaster and Preston areas. Please email your CV to us at info@castlegatesecurity.co.uk. The Police CCTV Team used our cherry picker to remove temporary cameras following the Queen’s visit to the Castle. All the team at Castlegate Security were very proud when Her Majesty the Queen paid a visit to her castle in Lancaster. We were contracted to manage the security requirements for the Christmas lights switch on in Lancaster by Lancaster Unlimited. Castlegate Security puts great emphasis on the delivery of quality and innovative security ideas. Our creative approach to providing commercial and domestic security services sets it apart from many other security businesses. We can provide highly trained and SIA licensed Security Officers for any situation, in any part of North West England. We serve all sectors including major PLCs, government bodies, the banking sector, and private households. Our ultimate goal is to provide peace of mind, allowing our customers to focus on their business and not have to worry about the security of their employees and premises. We provide covert and overt solutions to keep people and property safe.